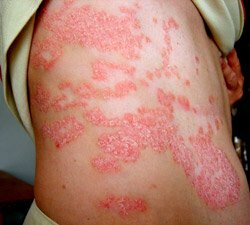 These before and after pictures of psoriasis are of patients treated at the TCM Skin Clinic in Toronto, Canada, or treated remotely via digital and phone consults. 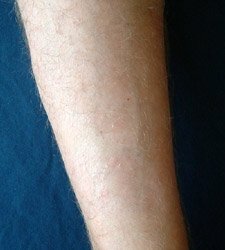 Psoriasis can be successfully treated only by treating the root, internally. Creams do not work on their own. This young man is one of the first patients I treated after training in herbal dermatology. 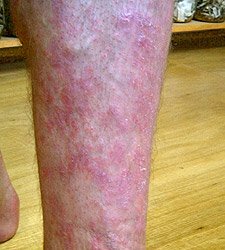 The results were relatively quick, as he had not had the psoriasis very long. Prompt treatment is always helpful, with all skin diseases. 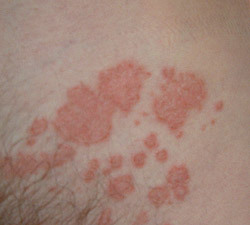 I was very encouraged to continue using herbs for skin disease after this case. 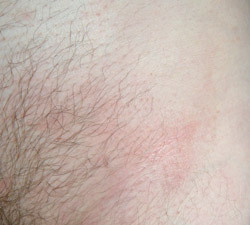 These psoriasis photos shows a typical, severe, plaque psoriasis. This woman's treatment took approximately 8 months to complete - she had plaques over a large part of the trunk and limbs.